Corporate videos/vlogs are a great way to showcase your company and its product/services, but done badly, they can be a PR disaster! We have pulled together a quick guide for anyone thinking of getting behind the camera. We hope it is helpful. Why do you want this film? • What goal are you aiming to achieve? • Is there a problem you want to solve by using this video? • Is there a change in customer behaviour you’d like to lead or influence? Who are you speaking to and who’s going to watch your video? • Is it leads, current customers, new sectors? • What is it that THEY want to see and not what you think they want to see? What do you want to say and what is the core message of your film? • What precisely do you want your audience to do/how do you want them to react when they’ve watched your film? 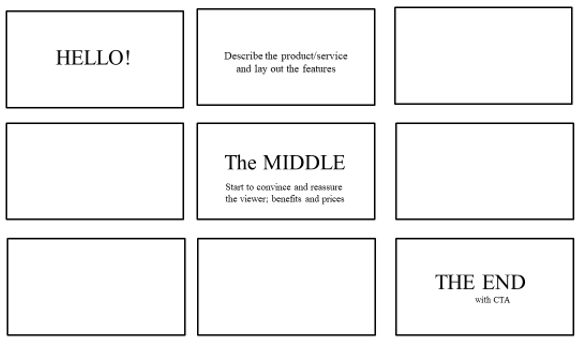 Try to stick to ONE core message (two at a stretch) and don’t ever cram too much in; viewers will switch off. 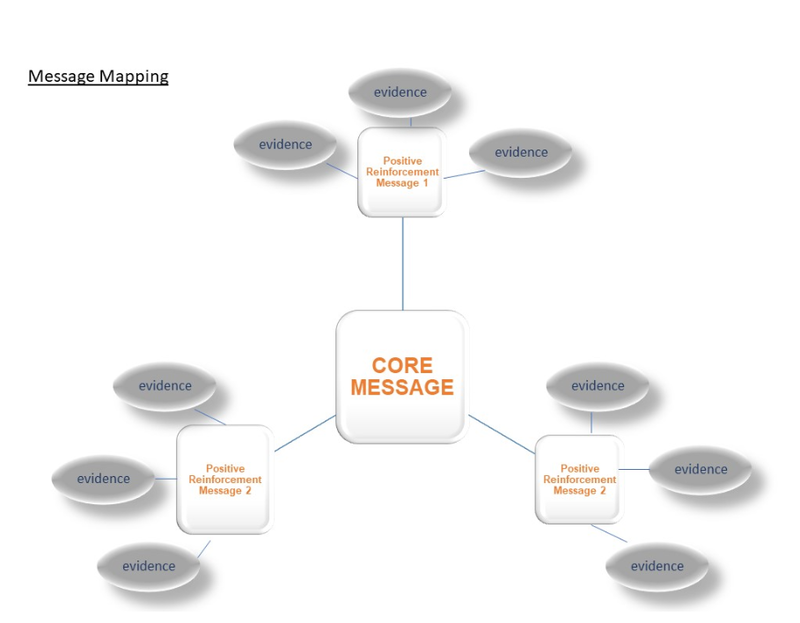 • Use the message map below to help you solidify what you want to say and how you’ll back it up. Where will it be watched? Where you put your video will depend on who your audience are. If it’s on social media or YouTube, don’t forget the call to action! What’s the deadline and is there a budget? What do you need and where will it be shot? ….and don’t forget the all important sign-off process – who needs to be involved at sign-off? Who are the stakeholders, client mentions and testimonials must of course be agreed too. Essentially, you are writing a story; all stories have a beginning, a middle and an end. The best way to do this is to create your own story board. Take a blank piece of paper and draw out blocks (as below). This is your story board. Using the information, you populated from your questions above, create your story. Make sure you challenge yourself all the way through the story by putting yourself in your audience’s shoes and asking “so what?” Is the information useful and beneficial to my customers or are you simply showing off? Put your commercial sales hat on; will your message resonate with the audience and encourage them to connect with you? Will it sell your product/service? Will it promote your corporate values? Is it on brand? • Thumbnail promotion on social media: no more than 30 secs! 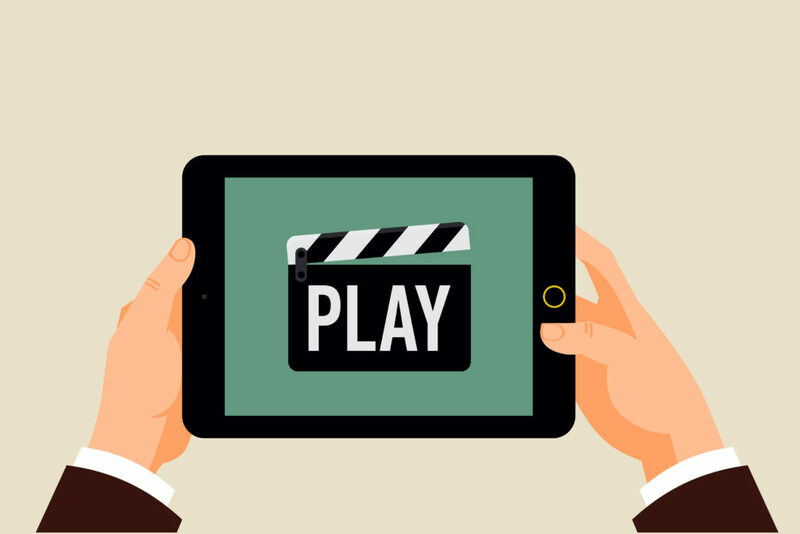 A video is a great way to showcase what you do and engage with your target audience. If you need help in putting together videos for your business, get in touch!